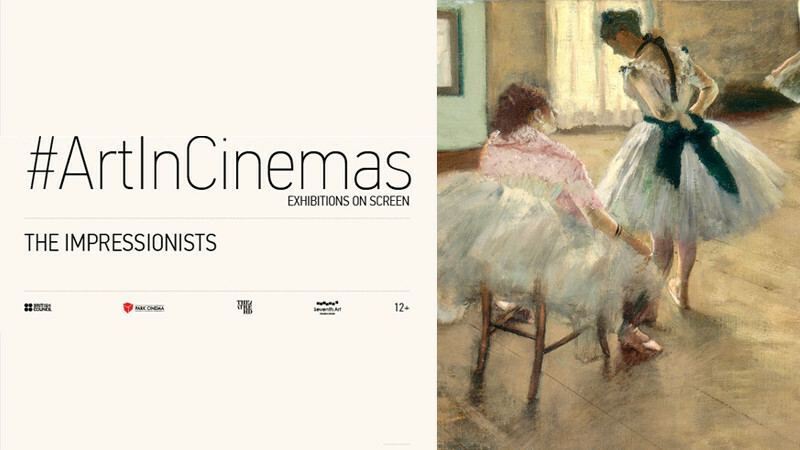 The Impressionists in Park Cinema Flame Towers buy tickets online. Delivery of tickets for the event The Impressionists. Monet, Ceaznne, Degas, Renoir: some of the world’s most popular artists. Their works, and that of their contemporaries, fetch tens of millions of dollars around the globe. But who were they really? Why & how exactly did they paint? What lies behind their enduring appeal? To help answer these questions, this unique film secured unparalleled access to a major new exhibition focussing on the man credited with inventing Impressionism as we know it: 19th century Parisian art collector Paul Durand-Ruel. This eagerly anticipated international exhibition is possibly the most comprehensive exploration of the Impressionists in history. It was Durand-Ruel’s brave decision to exhibit the Impressionists in New York in 1886 that introduced enlightened wealthy Americans to this modern French painting. In doing so, he not only filled great American galleries with Impressionist masterworks, but kept Impressionism alive at a time when it faced complete failure. This energetic and revealing film will tell his remarkable story along with that of the Impressionists themselves. Featuring universally loved masterpieces by Monet, Degas, Cezanne, Renoir, Pissarro and many more.